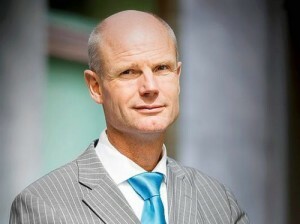 THE HAGUE - The Minister of Foreign Affairs of the Dutch Kingdom Stef Blok made statements in a private meeting about ethnicity and multicultural societies. For example, the minister said that he does not know a peaceful multicultural society and it is genetically determined that man does not bind himself to "unknown people". "Give me an example of a multi-ethnic or multicultural society, where the original population still lives and where there is a peaceful society. I do not know it," he said last Tuesday at a meeting with Dutch people working for international organizations. Blok talked to them about xenophobia, among other things. The images are in the hands of current affairs magazine Zembla. According to the minister, every society knows the boundaries when it comes to including migrants. He calls it "very nice" to have a Turkish baker around the corner, but adds that you can get "some side effects". "If you live in the middle of it, you will suffer enormously," according to Blok. Blok then draws the conclusion that it is genetically determined that groups of people of various culture cannot get along with each other. "Probably somewhere in our genes is that we want our own distinctive group to hunt along or to maintain a village. And that we are not able to bind with people unknown to us." When one of those present in the hall notes that Suriname is an example of a peaceful multicultural society, Blok responds with the comment that Suriname is a failed state, partly because the political parties in the country are divided along ethnic lines.